Ioannis (John) Psathas was born in Wellington New Zealand July 3rd, 1966. His father (Emmanuel Psathas, from Nea Michaniona) and mother (Anastasia Psathas, from Thessaloniki) emigrated to New Zealand in 1960 (both sides of John’s ancestors descend from Anatoliki Thrace). His music emerges from a dazzling 21st century backdrop, where dynamic collaboration with creative masters from all corners of the physical and artistic globe result in outcomes that are visionary, moving, and inspired. From genre-crossing projects with jazz legends Michael Brecker and Joshua Redman, to an innovative e-book scoring collaboration with Salman Rushdie, from an unforgettable recording session with the Grand Mufti in Paris's Grand Mosque, to a Billboard classical-chart-topping album with System of a Down front man Serj Tankian, Psathas's musical journey weaves through myriad of genres, and has moved concert audiences in more than 50 countries on all 7 continents (even Antarctica). The Psathas family entered the restaurant business and John grew up in a small New Zealand town, Taumaranui. He then went to college in the city of Napier – where he developed a strong interest in music. He left college early to study piano and composition at Victoria University of Wellington. In 1988 John’s parents and sister (Tania) returned to Greece permanently. His parents live in Nea Michaniona. After completing his Master’s degree, John studied and worked for 2 years in the USA and in Belgium. Before returning to New Zealand in 1994 where he has lectured at Victoria University’s School of Music (now the New Zealand School of Music) ever since. He is now Professor of Composition. Early career collaborations included working with such luminaries as Sir Mark Elder, Kristjan Jarvi, the Takacs Quartet, Lara St. John, the Netherlands Blazers Ensemble, Dame Evelyn Glennie, Edo de Wart, Joanna MacGregor, Pedro Carneiro, the Halle Orchestra, The New Zealand Symphony Orchestra, the Strasbourg Philharmonic Orchestra, Symphony Orchestra of Emilia Romagna "Arturo Toscanini", the BBC Scottish Symphony Orchestra, and many more. Then followed a period of intense creative exploration in the worlds of electronica and jazz, and a series of mega-projects (such as scoring much of the opening ceremony of the Athens 2004 Olympic Games). All of which has led to an explosion of first-hand collaborations with artists from dozens of musical traditions spanning Asia, Europe, North and South America, Africa, and Australasia. John is now developing projects that integrate the many strands of this creative journey. Much of his recent work has social and historical commentary at its core. The film White Lies (original film score) depicts a head-on clash of beliefs and the nature of identity in early NZ European settler society. Between Zero and One is inspired by ancient and modern rhythms, and brings musicians from around the world into the concert space via interactive projection, transforming and challenging the traditional experience of fixed-location, temporally-contained performance. _00 Years (in collaboration with the world's most famous living Armenian, Serj Tankian) is an unflinching exploration and remembrance of the Armenian Genocide begun in 1915. Most recently, the epic and experimental No Man’s Land project overtly challenges the accepted handling of WWI commemoration. No Man's Land involved filming and integrating 150 musicians from more than 25 different countries, including Oum El Ghait (Morocco), Meeta Pandit (India), Bijan Chemirani (Iran/France), Marta Sebestyen (Hungary), Vagelis Karipis (Greece), Refugees of Rap (Syria), and Derya Turkan and Saddredin Ozcimi (Turkey). 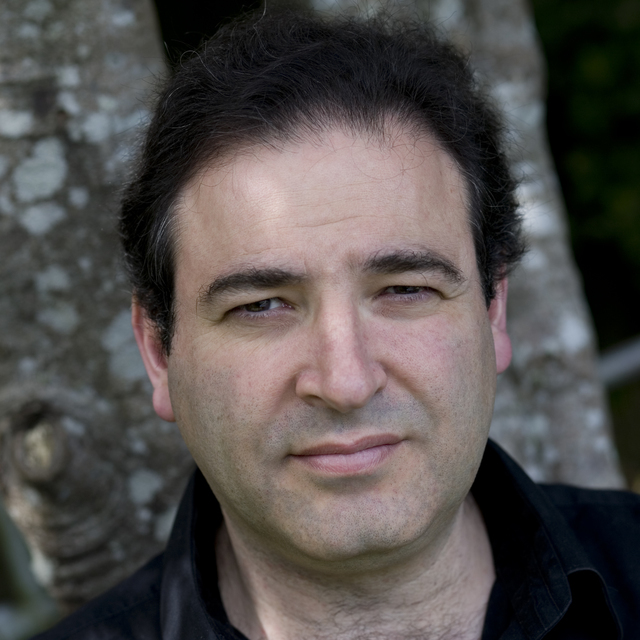 Psathas is now one of New Zealand’s most internationally acclaimed composers and has received numerous awards and honours, including twice winning the SOUNZ Contemporary Award (2002 and 2004) for individual works and three 'Tuis' for Classical CD of the Year (2000, 2004, and 2007). In 2003, he was made a New Zealand Arts Foundation Laureate and in 2005 was appointed an Officer of the New Zealand Order of Merit (ONZM). With performances in venues from Windsor Castle to Kalamazoo, Jakarta to Bermuda, Japan to Alaska, and Hong Kong to Tel Aviv, he has established and maintains an active international reputation. He is also now considered one of the three most important living composers of the Greek Diaspora.